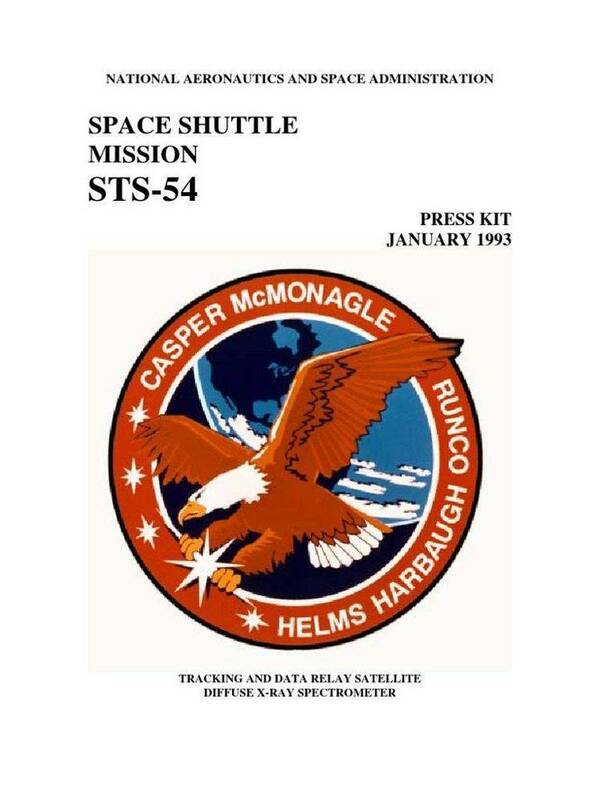 NASA Press kit for shuttle mission STS-47 to be launched Sept. ’92 carrying Spacelab-J. from the United States and 2 joint experiments. "Missions such as Spacelab J mirrow the way science is done on Earth,"
fly in space, round out the NASA crew. NASA spacecraft, payload specialist Dr. Mamoru Mohri. will land at the Kennedy Space Center, Fla.
environment aboard the Space Shuttle. Space Station Freedom begins operations later this decade." ultimately may lead to useful commercial and medical applications. removed, basic physical processes can be studied more easily." on the space station and on long space missions to the planets," Halstead said. computers, these space-grown protein crystals reveal their molecular structure. superconductors and more efficient electronic components. gravity, reduces the quality of the material processed. may be combined to form new, improved materials. alters the development of bones and other tissues. loss due to space travel. fruit fly larvae and eggs. experiment is directed toward future medical care on Space Station Freedom. and landing operations will be produced by the appropriate NASA news center. Abort Once Around - White Sands Space Harbor, N.M.
Ben Guerir, Morocco; or Moron, Spain. Space Center, White Sands Space Harbor, Zaragoza, Ben Guerir and Moron. Facility bay 3 following its ferry flight back from California. and laboratory were conducted within the next few days. While in the OPF, technicians installed the three main engines in July. Engine 2029 is in the No. 3 position. connected to its external tank and solid rocket boosters. commercial and medical applications on Earth. experiments between the two agencies. experiments are located in the orbiter crew cabin's mid-deck area. glasses and ceramics, and metals and alloys. than those developed on Earth and understand their internal crystalline order. vapor diffusion and liquid/liquid diffusion. Proteins are complex amino-acid compounds present in all life forms. can determine how proteins work, new and improved medicines may be developed. may lead to a better understanding of manufacturing similar crystals on Earth. Drop Dynamics in Space and Interference with Acoustic Field experiment. between regions of different temperatures. understood for materials processing techniques to become more effective. used in infrared-detecting devices such as telescope lenses. glasses that will transmit more light. understand its properties and possible usefulness. pressure and cool them from the molten state to a useable solid. resistant metals, as well as more uniform semiconductors and superconductors. contribute to this field of study. versus microgravity environments on various life forms. develop new scientific information to improve life on Earth. field also will be conducted. level. One such test will be the production of antibodies in space. gravity in fertilization and development. fertilized during the flight and will develop in a microgravity environment. will be allowed to develop into tadpoles and adult frogs. metabolism and bone formation in chick embryos. member visually tracks a flickering light target. Movement in Fish During Adaptation to Weightlessness. artificial means, such as drugs. have lost calcium from bones and protein from muscles during flight. muscle and bone in selected crew members before and after the mission. spinal bone marrow and discs (vertebrae). will be flown in special incubators exposed to the cosmic ray environment. When the flies hatch, they will be examined for radiation-induced mutations. problem should such medical treatment be needed during a space mission. Dr. Patricia Cowings, Ames Research Center, Moffett Field, Calif.
Kenneth A. Souza, Ames Research Center, Moffett Field, Calif.
Dr. Tomoaki Yamada, Nippon Telegraph And Telephone Corp.
Dr. Souhachi Iwai, Nippon Telegraph and Telephone Corp.
Dr. Masami Tatsumi, Sumitomo Electric Industries, Ltd.
space as part of NASA's Get Away Special (GAS) Program. Mission Manager, and Larry Thomas provides customer support at Goddard. difficulties. To fill the bridge, three GAS ballast payloads will be used. and the United States. Brief descriptions of the payloads on STS-47 follow. In 1978, Explorer posts were invited to submit ideas for experiments. three-stage elimination process from 38 proposals originally submitted. of NASA Goddard Space Flight Center, Greenbelt, Md. environment may have on seed germination rates. undergraduate engineering and science majors. experiment is to explore thermal conductivity of liquids in microgravity. simplified guard ring reduces the heat losses. was developed in which the growth rate can be controlled along the crystal. orbit, allows the mixture to rise, and then "bakes" it. pictures of crystal growth at varying intervals over 4 days. crystal growth to occur from one end of the sample. on combs built by oriental hornets. testing the hornets' ability to orient their combs when in weightlessness. when the experiment is inside the locker. crew and ground amateur radio operators, often called ham radio operators. MHz for transmissions from the ground to the Shuttle. fit in an orbiter window, an interface module and equipment cabinet. the mission and from amateur radio clubs at other NASA centers. Space Center will have a SAREX information desk during the mission. 2500 and then type 62511. 35% oxygen and 65% nitrogen at 1.5 atmospheric pressure. on Earth and in space can be readily compared. expected to provide new insights into the basic process of combustion. to digital data before it is stored on optical disks. Research Center and Sverdrup Technology Inc. project team. Calif., his hometown and will be making his fourth space flight. Polytechnic State University in 1969.
of Defense-dedicated Shuttle mission in December 1988.
from the Naval Test Pilot School in 1977.
more than 45 types of aircraft. A-10 at Myrtle Beach Air Force Base, S.C.
upon his selection by NASA. Brown has logged more than 3,100 hours flying time. be making his second space flight. mechanical engineering from the Massachusetts Institute of Technology in 1980.
aircraft. He has logged 97 hours in space. physics from the Massachusetts Institute of Technology in 1976. Harvard's Division of Applied Sciences from 1978-1980.
was serving as a payloads officer at the time of his selection. 143 hours in space, including almost 11 hours spacewalking. of Alabama in Huntsville in 1985.
attach ring after the STS-51L accident. communicator in Mission Control for six Shuttle flights. be making her first spaceflight. system for the Peace Corps and the U.S. Embassy. machi, Hokkaido, Japan and will be making his first space flight. Ames Research Center, Moffett Field Calif.
Ames-Dryden Flight Research Center, Edwards, Calif.